FMGE 2016 is medical exam which is conducted for Indian as well as for Overseas students, applicants who have completed their MBBS Degree from any other country and wants to practice the profession need to qualify the exam. Exam is computer based and is conducted in 27 cities of India applicant who are eligible can apply for FMGE 2015 on or before October. Every year National board of Examination conducts FMGE twice once in June and other in December. This article is written for December attempt of 2015. Application for FMGE 2015 is will start from the month of September, NBE will declare its official stating that all eligible candidate for exam are invited. Applicant can then apply online, following are steps mentioned for applying FMGE 2015. Now pay the application fees as demanded and take a print out of the fees receipt. Application fees INR 5,500 Not-Refundable. 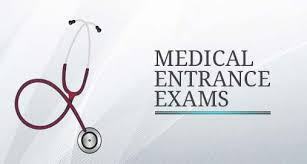 FMGE 2016 has no specific topics and caoncept covered in exam it will be all based on what an applicant have learned in MBBS exam including pre-clinical, para-clinical and clinical. Hence for syllabus no specific subject name but applicant should be clear with all topics which he/she has learned in past. FMGE 2016 exam pattern is given here with its marks weightage subject wise. Note: Above mentioned dates are tentative they are subject to change.